PULLMAN, Wash. – Denny Davis, emeritus professor in the Gene and Linda Voiland School of Chemical Engineering and Bioengineering, recently received a best paper award for his paper, Integrated Design Engineering Assessment and Learning System (IDEALS): Piloting Teamwork and Professional Skills Development Instructional Materials. Davis presented the paper at the annual conference of the American Society for Engineering Education that took place in San Antonio on June 10–13. The full paper is published in the conference proceedings and is available through the ASEE website (http://www.asee.org/). In the paper, Davis and 11 other co-authors summarize 10 years of work in the development of research-based assessments and instructional materials for engineering design. Collaborators from across the country, representing several higher education institutions with diverse student populations, have developed and documented the effectiveness of their modules in capstone engineering design courses. “With funding from the National Science Foundation, we have documented extraordinary professional skill development in our capstone design students using IDEALS modules. Students learn design and professional skills in an authentic professional environment, so they are ready to apply these skills in the professional world,” Davis said. IDEALS modules give capstone design course instructors the materials they need to help students learn teamwork, professional responsibility, and professional development (self-directed learning) skills and to document the achievement of these skills. With the publication of the paper, instructors throughout the US and beyond are directed to the IDEALS website (http://ideals.tidee.org) where modules and instructor guides are available. Davis hopes that the work leads to more purposeful instruction and more useful assessment of students’ professional skills in design classes. Davis is a leading expert in engineering design education, and the project leader for the IDEALS team. He and colleague Howard Davis have used many of the materials they developed in capstone courses at WSU. 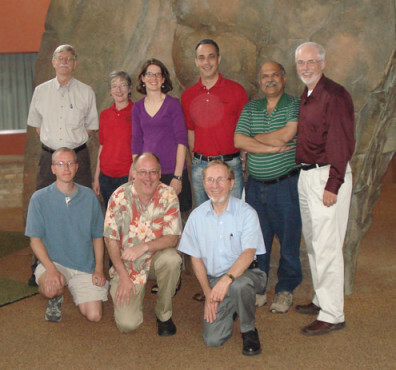 The other researchers co-authoring the paper include Michael Trevisan, Howard Davis and Jennifer LeBeau from WSU, Steven Beyerlein and Jay McCormack from University of Idaho, Paul Leiffer from LeTourneau University, Phillip Thompson from Seattle University, Susannah Howe from Smith College, Robert Gerlick from Pittsburg State University, Patricia Brackin from Rose-Hulman Institute of Technology, and M. Javed Khan from Tuskegee University.